This is the first solo work by formerly member of Suede. 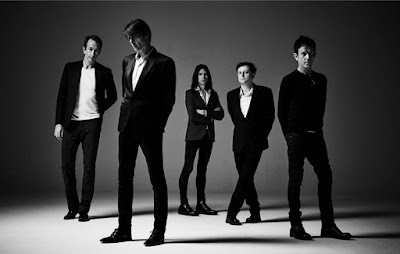 We miss Suede, those dashing guitars, perfect pop songs, soulful stylish combination of previous high-class pop acts such as Stone Roses, David Bowie, Morrissey. I have nothing to hide, i've been listening this one several times on my unending daily routines. "Dust and Rain" takes control strongly after two lazy opening songs, actually comparing those gives a result of this record's similarities with "Dog Man Star". Near to considering it as a boring experience, "Scorpio Rising" and another wonderful piece "The Infinite Kiss" appears greatly and makes Brett voice at the top of musical influence and definitely it changes your mind. Moving comfortable pop composing slowly comes as a surprise! Brett Anderson (2007) somehow reminds us Suede's heyday, and other main britpop bands, Elastica, Blur, Mansun, Pulp, The Manics expect the four songs on the end. Colour Of The Night, The More We Possess..., Ebony, Song For My Father -- these are quite different works of Brett, having a bit of Scott Walker gloomy, Tom Waits petulance, also they've been really very good closing songs -- moving slowly down to your veins and glowing your body. Incidentally "The More We Possess" reminds "Infinitely Late At Night" (69 love songs) by Magnetic Fields. Closing track "Song For My Father" offers perfect melancholia, intelligent songwriting, a touching end. What i mean is that Brett is growing on, particularly when he is alone. However this solo sounds well after forgivable The Tears or disbanded Suede! I agree, I think it's a great album. Love Is Dead as a single, with the b-sides is strong too. I've only heard clips though, which is a shame. Good review! Head over my side for an old Stereophonics review... Viva la Britpop! Definitely best album of the year. I miss Back To You... I wish it has another better version ;) Sorry for being ignorant! I just wanna give it a 7.5.